The Good Templars was an international organisation promoting temperance (absence from alcohol) which was found in 1851 in Utica, New York. In 1874, the London branch of the Good Templars founded the Good Templar and Temperance Orphanage. Its object being 'to maintain, clothe, and educate in the Orphanage, or in other suitable homes, orphan children of Good Templars or other total abstainers.' In its early years, the Orphanage occupied several different premises. In 1878, it was based at Chivalry Road, Wandsworth, where 15 boys and 5 girls were being maintained. 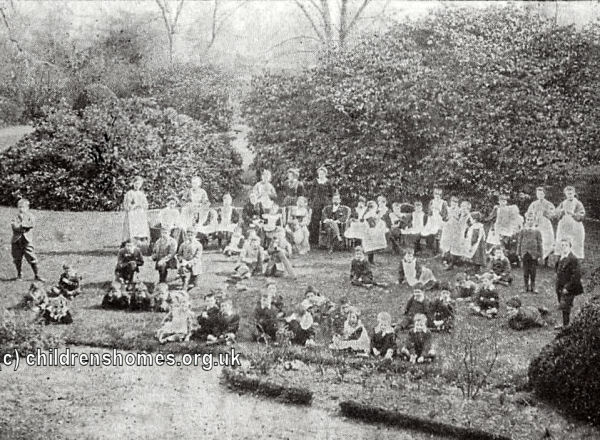 In 1881, the Orphanage was provided with a permanent home when Mount Pleasant, a former school site on Green Street, Sunbury on Thames, Middlesex (now Surrey), was purchased at a cost of £2,800 including furnishing. The new premises, which were renamed Marion Park, could accommodate 60 children, aged from 3 to 12 years. Admission to the home was either though one of the periodic elections of the charity's subscribers or by a cash payment. Candidates for admission must have had one parent who died after being a total abstainer from intoxicating drinks for not less than 12 months, or the surviving parent had to be a Good Templar or total abstainer of at least 12 months' continuous standing. The orphan was required to be not less than 2 years nor more than 12 years old at the time of the election, and not be suffering from mental affliction, or chronic disease, or have been convicted of any crime. Guarantees are required of removal when required, or at death, and of non-interference with the child while in residence. Inmates left at the age of 13 years (except by special permission to remain), or at any time previously after a week's notice. Children in the Orphanage received 'a sound English education' and were 'trained in the principles of the Christian religion and practice of total abstinence from intoxicating drinks'. On leaving the institution they were generally either apprenticed or provided with a situation. The orphanage remained in operation during the Second World War and afterwards relocated to Crondall Lodge, Crondall, Hampshire, where it continued in use into the 1970s. The county council purchased Marion Park in 1952 and it became used as a primary school site, but the original house was subsequently demolished. London Metropolitan Archives, 40 Northampton Road, London EC1R OHB. (The Ancestry website also has LMA records relating to workhouses and other institutions — more details.) Has correspondence and papers (1874-1927).